Sulphate of iron makes soil more acidic, enabling special acid-loving plants to take up the nutrients they need for healthy growth and development. For these special plants, if soils become too alkaline they suffer severe deficiencies when essential nutrients such as iron become unavailable. 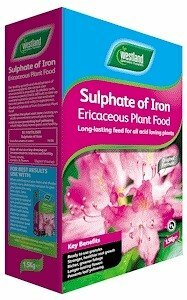 Sulphate of iron enriches and unlocks these nutrients from the soil.